This will be the first American feature film shot in ONE TAKE. Our main character Julian is dying; he suffers from a rare disease "Danon", a heart condition that kills boys between ages 7-17, in months or as little as a day. 'Nēar' touches an entire spectrum of inclusion. Our protagonist, a teenage African-American, is in love with a Native American Female, his friends, male and female are Caucasian, our protagonist is Native American, ages range from teens to late 60's; w/ varying beliefs, Native, Atheist & Christian. What's the Story with Near? 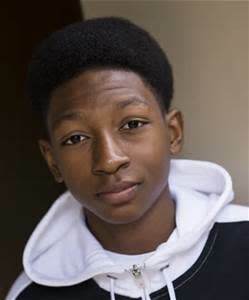 Nēar follows 17-year-old, Julian played by Skylan Brooks (Inevitable Defeat of Mister & Pete, Southpaw, Netflix' The Get Down, Crown Heights) upon his escape from the hospital on Christmas Eve, the day which is literally to be the last day of his life Julian decides to search for his estranged father, this is Julian's last known living relative. Oh, and did we mention that this will be the first American feature film shot in ONE TAKE? Yes, one take, not Alejandro González Iñárritu's Birdman, not Alfred Hitchcock's Rope, and not last year's indie one-take German breakout Victoria, well, because it's a German film. Julian is dying because he suffers from a rare disease called "Danon", a heart condition that kills young boys between the ages of 7-17, in months or as little as a day and can happen without any indication of illness. This is a disease that we'd really like to shed light on and hope to bring awareness to using "Nēar" as a vehicle to do just that. Julian is also a shroom dealing orphan, that has transitioned from the group home system -- now living on his own in the socioeconomic bankrupt town of Stockton, CA. The extra elements add to an all already intense thrill-ride that is sure not to disappoint. Nēar is a thrilling character study that reveals what can happen when a human being's most primitive instinctual functions i.e., the lizard brain kick in; which is almost always during times of trouble or distress. Cognitive intuition operates instinctively under the most stressful of conditions within the modes of fight or flight and that is the themed approach to our filmmaking which we are confident will provide an interesting fly on the wall experience for the viewers. WHO ARE BLUE ANGEL ENTERTAINMENT, NONARA PRODUCTIONS & INNERVISION FILMWORKS? We are partnering indie-entertainment production companies. Blue Angel is headed by Korstiaan "Kors" Vandiver, an award-winning writer/director/producer of note worthy film projects (Lu, Entropy & Reveille) & Innervision Filmworks headed by Dwight Wilson II writer/director and award winning producer of projects (Lu, The Return, Thirst). 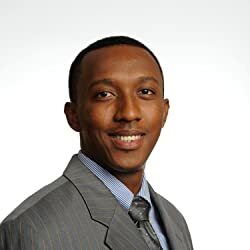 Nonara Productions, headed by a rising Exec Producer Lionel Ntasano, who hails from Burundi, Africa and we recently collaborated on a great social justice film that is aiding to free a man from prison entitled 'FATE'. Dwight is also the BTS Director along with Kors the BTS Producer for producer/writer/director Nate Parker's 2016 Sundance Film Birth of a Nation. Kors, Lionel & Dwight's client portfolio spans Starz Network, BET, Codeblack, Fox, Sony/Columbia, Sony Screen Gems, Universal Studios and more... 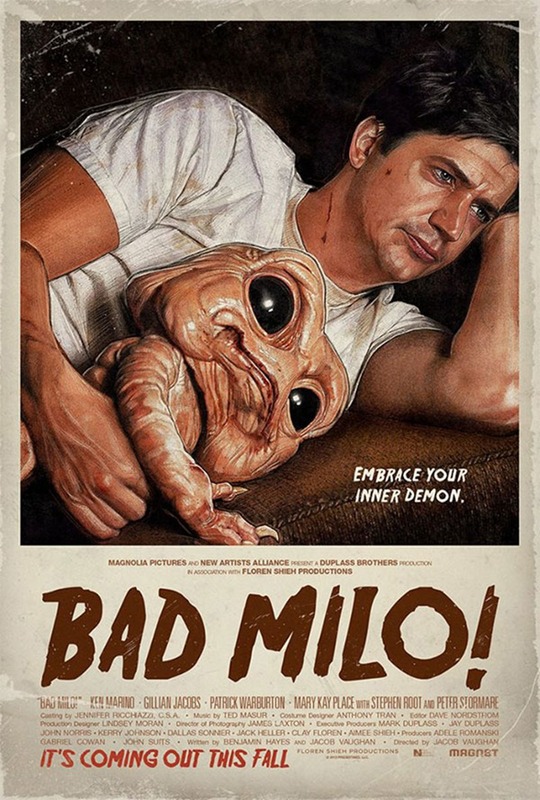 The list of talent ranges from Ben Stiller, Nate Parker, Martin Lawrence, Gbenga Akinnagbe, Armie Hammer, Omari Hardwick, Gabrielle Union, Affion Crocket, Emayatzy Corinealdi, Skylan Brooks, Kel Mitchell, Dominic Bogart, Dawn Robinson, Vanessa Bell Calloway, the late great Mickey Rooney and much more. 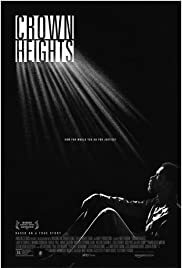 We plan to team with rising indie cinematographer Ava Berkofsky (Share, Free In Deed, HBO's Insecure) to create cerebral cinematic thrill ride that promises laughter, tears, spiritual healing & heart pounding suspense that will have you on the edge of your seat! View some of our work from the Sundance triumph 'The Birth of a Nation'. Nate Parker's The Birth of a Nation: Behind The Scenes Documentary | Teaser from Innervision Filmworks, Inc. on Vimeo. 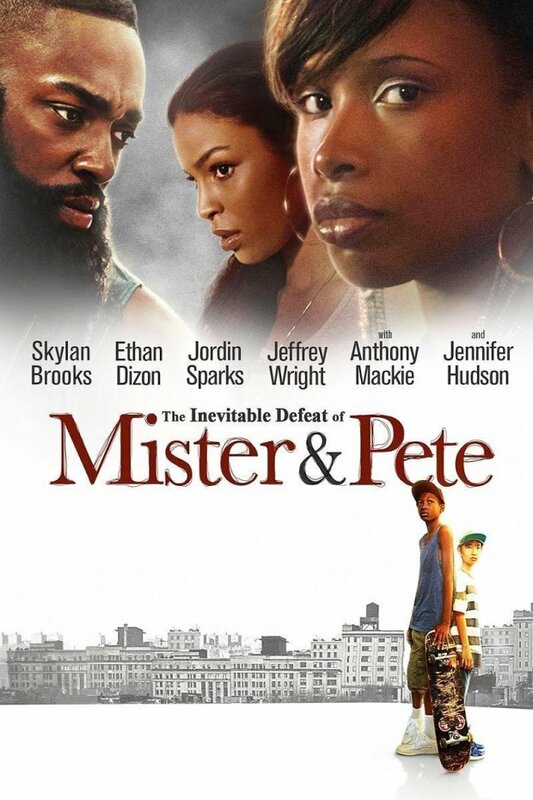 Many will remember him from the Sundance hit The Inevitable Defeat of Mister & Pete. 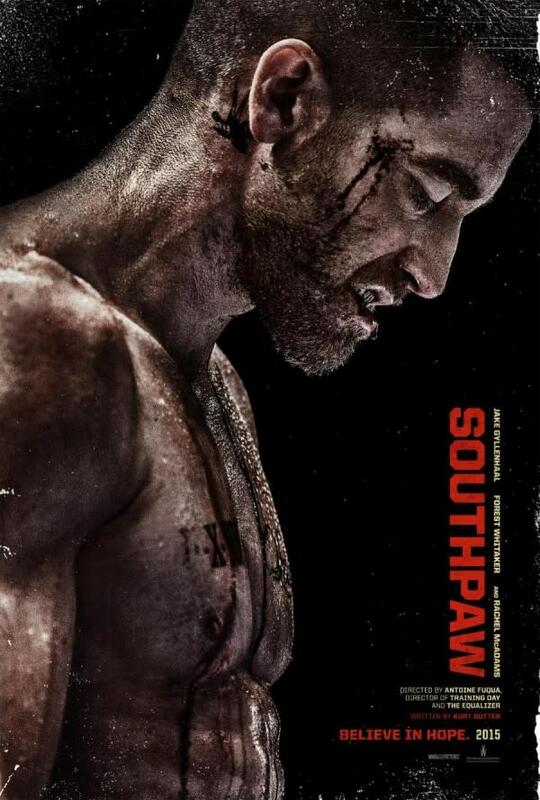 Some will remember him from Southpaw, & many know him from his starring role in the standout Netflix' production The Get Down & we believe that he will be solidified as one of our generation's great young actors upon the completion of Nēar. Check out some of Skylan's work below. 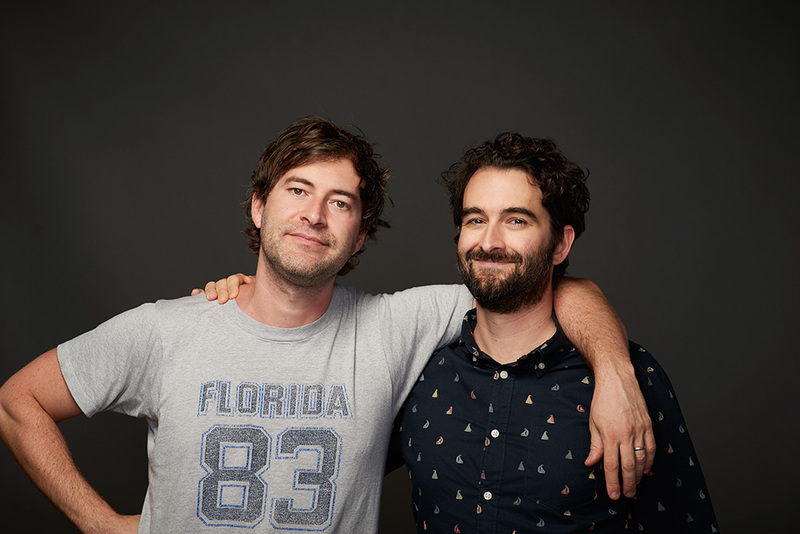 The Duplass Brothers are filmmaker extraordinaire's known for directing, writing and producing various amazing projects throughout the years in film and TV; most recently with their HBO hit 'Room 104'. The Seed&Spark platform will choose up to five winning projects. The Duplass brothers will contribute up to $25,000 total, while also joining each project as executive producers. The pair also desires to use their industry knowledge and position to help push each project onto the path towards the big screen. Also, if we are chosen we would be the first African-American and Native American narrative ever produced by the Duplass Brothers!!! Whaaaaat???!!! Just a bit more incentive to choose our awesome project!!! This is not a typical Hollywood story and this is why the Hometown Heroes Competition is so important. This film is more than just a crime drama or thriller, this is also a bit of a teenage love story between two friends, one, who is Native American. This is the story of what happens when kids who grow up in the system of Stockton's minority community bond over a common disparity. The racial demographics in Stockton is (12.2%) 35,548 African American, (1.1%) 3,086 Native American according to an early US Census. My grandfather was part Native American and so I have a personal pride in telling a unique story with characters that are unfamiliar. We choose not to perpetuate the cliche' depictions of past Hollywood narratives that have been told for so long. In a time of the Dakota Pipeline, Standing Rock Burial Ground and even as recent as the events in Charlottesville Virginia remind us of how far we have yet to go as a nation. In fact, our story which was written before the Dakota Pipeline tragedy deals with the desecration of a sacred burial ground for money. The narrative explores the notion of big businesses need to exploit economic growth at the sake of humanity as well as the honor for others unique belief systems. We personally feel the burden of helping shed a different light of the artistic perceptions of the African-American and Native American communities alike, this is a time for the under-represented to be heard. With that, we currently have a wishlist of wonderful Native American actors. 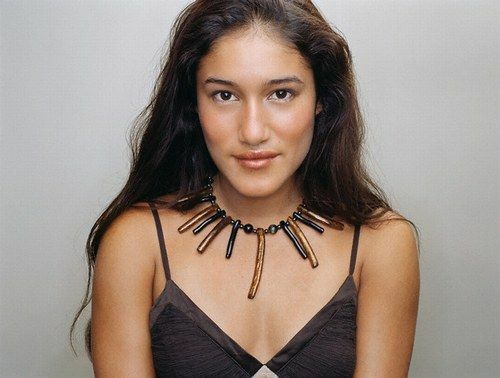 Q'orianka Kilcher (The New World, Princess Kaiulani, Sons of Anarchy) as "Merlene" our Lead Female. I've previously had the pleasure of working with "Q" as she affectionately likes to be called. She is as beautiful on the inside as she is on the out and an absolute joy to work with. A huge desire for a Supporting Cast member is rising star Forrest Goodluck as "Freshy", Forrest is best known for his role as Hawk, the son of Leonardo DiCaprio's Oscar-winning performance as Hugh Glass in The Revenant. 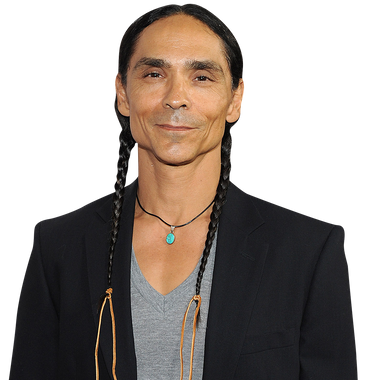 Then finally, last but not least Zahn McClarnon as "Face", he was amazingly flawless in FX's Fargo Season 2. Zahn has years of experience as an actor, we know he can truly bring our antagonist Face to life. None of these actors will be paid their normal rates; so every bit helps, but we don't want the reason for their decline to be financial, the short shooting schedule will also aid in the financial burden and scheduling. Amazing visual effects. Nēar is a dramatic-thriller with a supernatural element and we want to bring on specialist Louis Kreusel VFX/Colorist ( Life of Pi, Moneyball, Fast & Furious, Knight of Cups) http://www.imdb.com/name/nm3533289/?ref_=fn_al_nm_1. With Louis sky is the limit on what we could do with effects. But we have to pay Louis and our perks only go up to $10,000. Locations, locations, locations. With more money, we can utilize the best locations for our shoot. The money will be used to transport cast, crew and set up in various locales in Stockton, California. We will need to secure multiple locations with payments and permits for the duration of the shoot in order to preset sound/mics, props, and crew. This is very important to the process of a one take production in order to complete a one-take film project with complete fluidity. Although it is said to be a bit safer currently, unfortunately, Stockton, California, boasts the shameful standard of the second highest homicide rate in California – running closely on the heels of the notorious city of Oakland, California. Stockton currently ranks in at #8 on the “Forbes Top 10 Most Dangerous Cities in the Nation” list and you thought the town was only famous for the "Hot Felon" turned model, Jeremy Meeks, JK. With that, we will also need excellent security to keep actors and crew safe which will also be very pricey, not to mention the police presence permits. This would definitely be our delta on a list of pros, but as indie filmmakers, we are all about taking risks as long as we don't endanger our lives or the lives of our cast and crew... In the words of a famed 90's rapper Bone Crusher... "I ain't never scared!" Yes, you've been there, done that. You've backed a crowd-funded project before and that was the last you've heard of it. Plus producing movies is far more expensive than short films right? Well, that depends on who's producing it. I was in competition with a short film that was 17 minutes long and had a $1,000,000 budget. There is also the film that never makes it through post production... So how do you know that getting behind this project will lead to a finished film? We have always made the most of our resources, some of you wonderful people backed our production 'Lu' and with less than nine hundred Indiegogo dollars and over $16,000 short of our budget we were able to pull off what is valued to be a 40k short film and it became an award-winning project. We are going to do 'Nēar' on a bigger, grander scale and yet and still the budget is very modest for a feature film and maybe even for some short films. 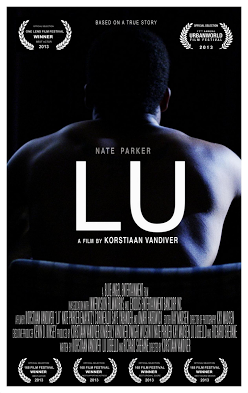 Watch LU Teaser Trailer & Extended Clip Now! Please know with us, money is never the bottom line, we always have a message to share while we entertain; take our latest short 'Fate' for example. I Kors, am not only a filmmaker I'm also a film teacher/mentor, last year I mentored a project for a Youth Community Center (KYCC), a film program in LA heading a marijuana drug prevention film project. "Fate Vincent Winslow" was the decided topic. The short film project became a real-life social justice effort to try to get this man released from prison. Dwight and I wore many hats during this production, one thing we are very proud of was that we were the cinematographers on the project. This was also Lionel Ntasano's first experience as an Exec-producer, it was so gratifying that producing became his full-time passion. Fate Vincent Winslow is a 47-year-old African-American homeless man who acted as a go-between in the sale of two minuscule bags of cannabis (worth $20 total) to an undercover cop, Winslow was sentenced to life in prison without parole. We have created a film to raise awareness and currently have nearly 10,000 signatures aimed at targeting the Governor's Office to free Fate from Louisiana State Penitentiary. We have received pardon paperwork from the office and Fate's pardon is currently up for review in a few weeks. Here are a few stills from the short film. The project stars Robert Hunter as Fate, known for his fabulous role in the Sundance feature film 'The Land'. Here's an extra and very exciting reason to give. We have the opportunity through this film to raise money for the Danon Disease Organization, a nonprofit established via Dr. Matthew Taylor from the Colorado Shcool of Medicine Division of Cardiology. In an effort to stay on message with helping others we also want you to know we have the support of Dr. Taylor of the Danon Disease Organization with our film; he's been a champion for us and we want to be a champion for him. Dr. Taylor is leading research on the rare disease and he wants this film to come about just as much as we do. With his support, we are partnering via the University of Colorado Denver to personally donate a portion of proceeds from the film to aid in further research and more importantly it is our hope & prayer that a cure is found one day soon. But, the opportunity is much more significant. Yes, we are willing to give a portion of the film's proceeds once the film is complete and turns a profit... But, honestly who knows how long this would take. So, after a conversation with the Campus Office of Advancement for the organization, we from the 'Nēar' family want raise 101k from this campaign, and we will donate 51k to the Danon Organization. That 51k donation will trigger an endowment for Dr. Taylor and Taylor Labs at University Colorado Shcool of Medicine Division of Cardiology. That same endowment will create funding FOREVER. Yes, forever and Danon research, as well as maybe even a cure, will be made possible because of a community of generosity fostered by you all. Dr. Taylor in involved in clinical research into the basis of several genetic conditions that affect adults including cardiomyopathies, intellectual disability, lysosomal storage diseases, pulmonary hypertension, and hypogonadism. Dr. Taylor’s research laboratory pursues basic molecular genetic research related to these human conditions and employs, SNP detection assays, DNA sequencing, and array comparative genomic hybridization in this regard. Dr. Taylor’s group also participates in ongoing clinical trials and registries in the lysosomal storage disease field. We have the talent and infrastructure to produce quality content, the funds we are raising are for production and production quality. That means most of the dollars will end up on the screen, which is exactly where you want. We also are looking to raise more money ultimately our goal in order to make this film the best we can we will push the budget to between 75k-100k from pre-production to post. Blue Angel, Nonara & Innervison are uniquely qualified to move into the feature filmmaking realm. Over the course of the past few years, our team has graced a number of great festivals with our collection of projects, from HBO's Urbanworld, AFI to Sundance. We will shoot with a Canon C300 with a 32G card you can record 160 minutes non-stop with a top notch 35 mm lens and a REDROCK MICRO Rig. Finally, you should back us because -- tis' the season, almost haha... It's a Christmas story being shot around Christmas time for crying out loud and there's no time for Scrooges -- bah humbug to that, we can smell the giving in the air, it's either that or Christmas pines. Also, when is the last time you got to help fight a disease forever? Go ahead we'll wait? Incentives are soooo awesome, but you ain't got time for that. 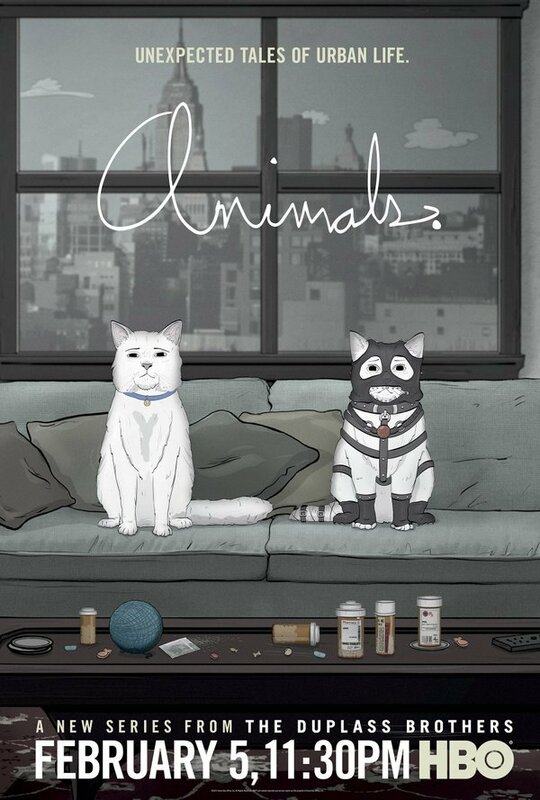 You just want this project greenlit. We appreciate you and thanks for your help! The BTS (Behind The Scenes) supporters get complete access to every production updates and behind the scenes info on the production. You'll also get a shout out tweet from @Kors thanking you for your support! You get a digital download of Nēar once it's ready for release. Seed & Spark supporters will receive their digital copies of the movie before anyone else. You will also receive a visual shout out that you can share with friends and other supporters! Get a signed Collectors Edition Still Photo of an amazing scene from Nēar, plus the award winner LU as well as BTS 'Birth of a Nation' Stills! This is a stand alone incentive but, you can select this incentive along with others or simply select this incentive on your own. Please add $10 for international/worldwide shipping. Ever wanted a signed DVD from a film you loved? Now is your chance to get one without all the hassle of tracking down your favorite filmmakers across the country with no guarantee. This incentive includes a signed Nēar DVD. Includes Digital and BTS incentives. Please add $10 to your donation if you need international shipping. Cast/Crew Voicemail(s) Featuring Skylan Brooks & more!!! Voicemail The Nēar Cast & Crew will record a 20-second voice mail message/greeting for you or a friend. Includes Digital Supporter level. To our special BackerClub Supporters we offer a VIP STANDALONE, be our special guest & have lunch on set with the cast and crew and receive an autographed headshot of one of the lead cast members and if we can have our lead present (scheduling TBD), take home a framed photo of the experience! You are in the club & it's sooooo worth it! Get a credit as an Associate Producer of Nēar. We will assist you in creating an IMDB entry for this process. Includes all the benefits of Premiere level and Ultra-Sponsor level. Walk on role Appear as a featured extra in Nēar. The shooting schedule is TBD and will take place in Stockton, CA. Includes all benefits of Premiere and Ultra Sponsor level. Dates subject to scheduling. Travel and accommodations not included. Co-Producer credit in the film and profile creation on IMDB. Make a visit to the Nēar set. Includes all benefits of Premiere and Ultra Sponsor level. Set visit date subject to scheduling. The shooting schedule is TBD and will take place in Stockton, CA. Travel and accommodations not included. Executive Producer credit in the film and profile creation on IMDB. Make up to three visits to the Nēar set. Choose from an RvB walk on role, RT Podcast visit or AH for a day. Includes all benefits of Premiere and Ultra Sponsor level. Set visit dates subject to scheduling. The shooting schedule is TBD and will take place in Stockton, CA. Travel and accommodations not included. Oh and I almost forgot, you will get an invite to the LA Screening Premiere and invites to any and all Film Festivals.Travel and accommodations not included. This is an expensive location that is very important to our story. We really need this location!!! You're now following nēar! Hungry for more great features? Try our streaming subscription!